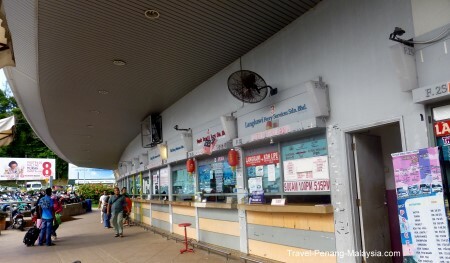 If you are travelling to or from the mainland or Penang by ferry boat, you will use the Langkawi Jetty just outside the main town on the island, Kuah. 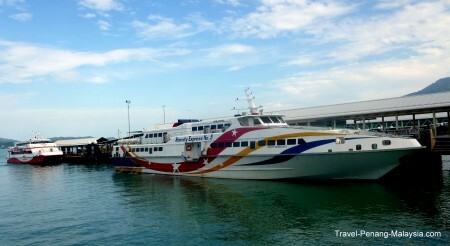 This busy port has many passenger ferries departing and arriving from the two mainland ports of Kuala Perlis and Kuala Kedah throughout the daylight hours, as well as a few boats a day to George Town on Penang Island and Satun and Koh Lipe in Thailand. 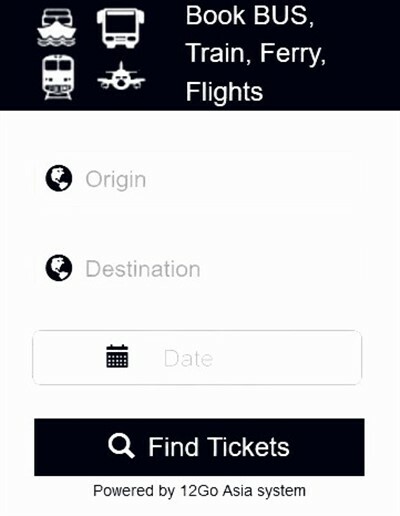 Departure times for these ferries are set throughout the year, but extra services are added during the very busy holiday periods. You would think that the ticket offices would be inside the main terminal building at the jetty - but they are not. All the tickets counters are located outside - across the road, behind the KFC. The Jetty at Kuah in Langkawi Island is made up of the Jetty Point Shopping Complex (which you have to walk through to get to the boats) and the actual jetties where the boats are moored. When you arrive at Kuah Jetty by boat, you will have quite a long walk to get outside. The jetty is quite large, with many berths for the ferries, some being quite a long walk to get into the main building, then through all the shops to the road outside. Once outside you will see various fast food outlets such as Starbucks and KFC. There is also a Malaysia Tourist Information Office if you need some help or local maps. As there is very little to no public transport in Langkawi Island, you will have a choice of either taking a taxi or walking into town (not too far). There is actually a bus stop / parking area (near the ticket offices) but any buses you see will normally be charter buses. Taxis in Langkawi are quite a bit more expensive (as it is a pure tourist island), so expect to pay a minimum of 10 -15 RM even for the shortest journey into town. A taxi from the Langkawi Jetty to Pantai Cenang (a distance of around 22km) should cost around 30 -40 RM.